SMSV organised many exciting activties in the first semester of 2016 and we hope you guys enjoyed them! 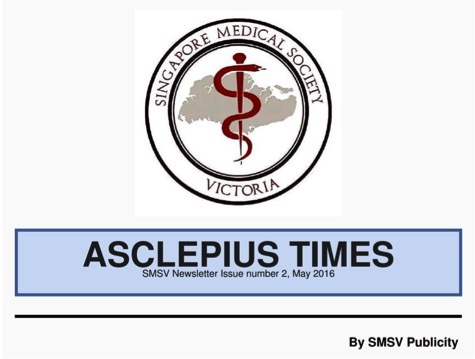 This edition of Asclepius Times features reflections by SMSV members about those activties, so have a read of them & walk down memory lane. Be sure to also look out forthe light reads that we have included, featuring two recipes and a brunch recommendation. Also, new to this issue, we have updates on the activities our SMSV members from Melbourne University have been involved in! Lastly, sign up details about the upcoming mission trips can be found in this issue! We hope you enjoy the second issue of Asclepius Times!